This entry now Thursday, and that means we only have 3 full days left in the city. Unlike the first 5 days, for the first time, we experienced a little bit of drizzle. Not a heavy downpour, but it was enough to get us a bit damp…not a problem since the drizzle helped keep the temp a bit cooler. The fam decided to wait for me to come home from work. They were able to sleep in while I attended a training class. 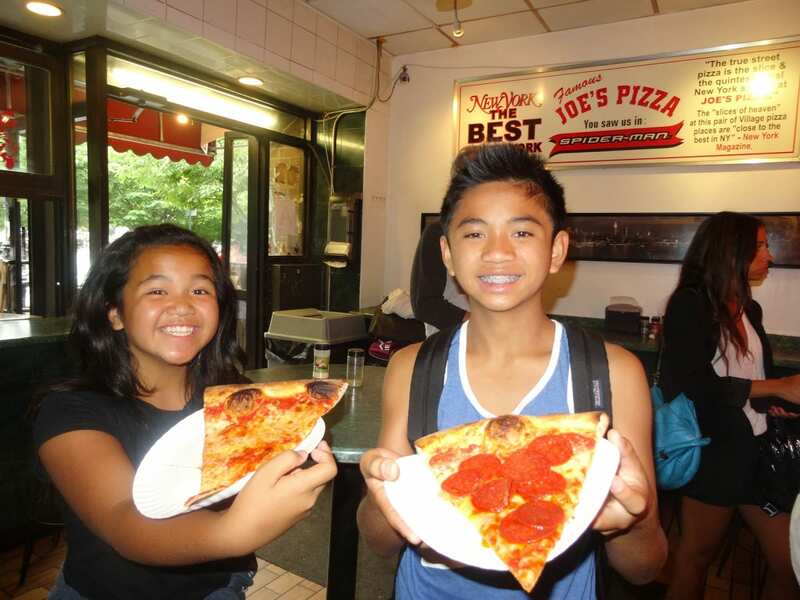 I looked at my list of different pizza joints to try, and Joe’s is one of them. There’s actually a Joe’s pizza in California located in Santa Monica, so we kinda had an idea of what it’s like. 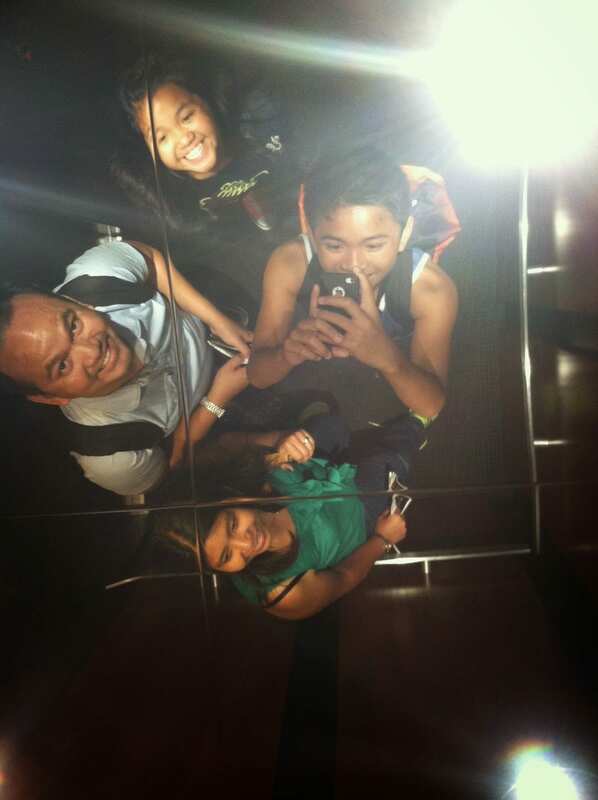 But still, I decided to take the family here. We ordered the typical pepperoni and cheese pizzas, not too heavy, perfectly thin, and easy fold. The Greenwich Village institution did not fail to deliver! Here’s a YouTube video that Eater NY did recently on Joe’s Pizza. After watching this, it makes me want to run over to Joe’s! So yes, we’ve heard of cronuts, and have tried versions of it in California. As much as I’ve been going to the city quite a few times this year, I just didn’t have the drive to try and catch one of the original cronuts in the morning. I’ve read that people have been lining up for 1-2 hours. 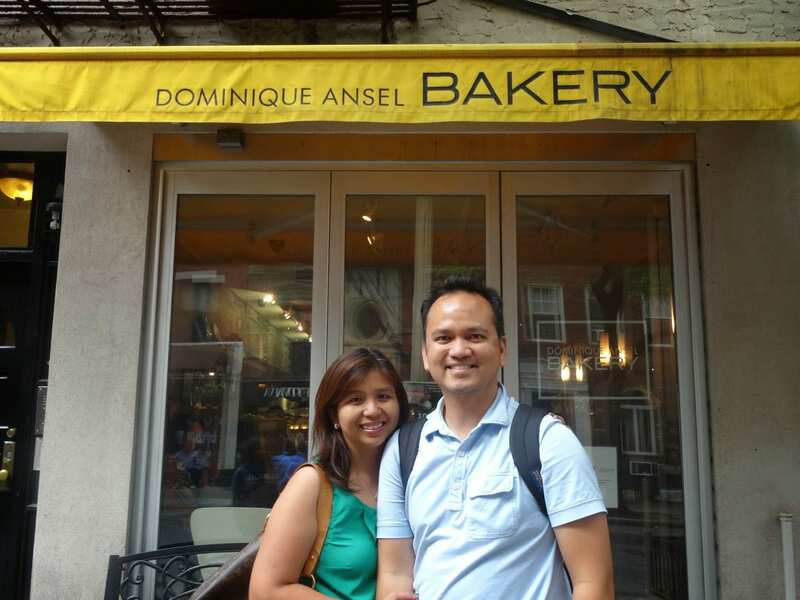 So for today, since we arrived late in the afternoon, the cronuts were already gone.However, there was another line. It was for the Chocolate Chip Shot. 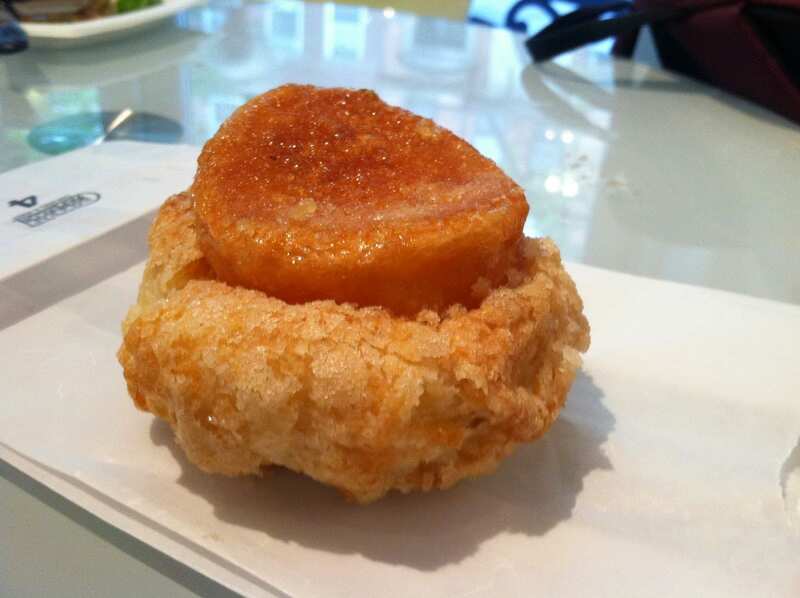 I thought it was just okay, and i didn’t see anything extraordinary about it….but it was the DKA or Dominique’s Kouign Amman – caramelized on the outside, soft and flaky within – this really got me! I will come back for this!!! Remember the slight drizzle I mentioned, well that didn’t last very long! YES!!! 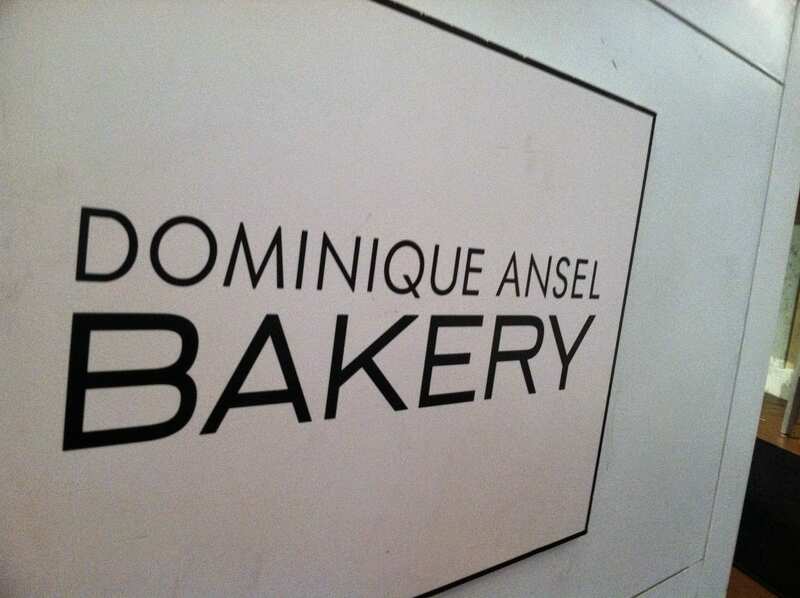 After leaving Dominique Ansel Bakery,we we headed back to the Theatre District. 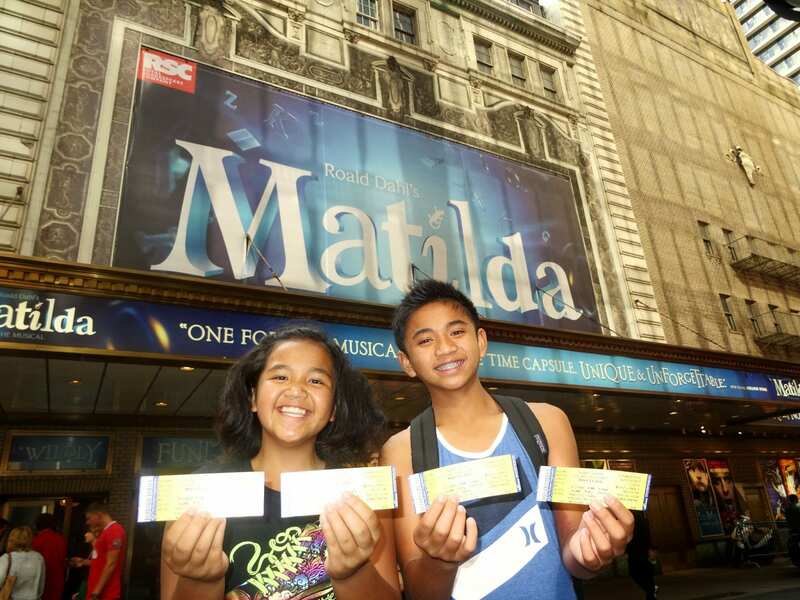 There was a lottery drawing for Matilda, so we decided to try our luck. Around 40 or 50 people showed up…..guess who was the first winner who got picked? MADISON!!! So yes,…that means we’re assured of 2 tickets so far. After calling 2 more names, the 4th name that got called, ETHAN. YES!!! Now 4 of us have tickets to the show. It was for $27 each, and we were seated on the 5th or 6th Row Orchestra (left side). We were just thrilled!!! We had over an hour to kill before the 8pm show so we decided we better eat. I’ve been reading a lot about Gotham West Market and Ivan Ramen. I’m a big foodie, and ramen is always a part of my foodie quest. As much as we love the theatre, we’re not big fans of the crowded restaurants near Times Square. 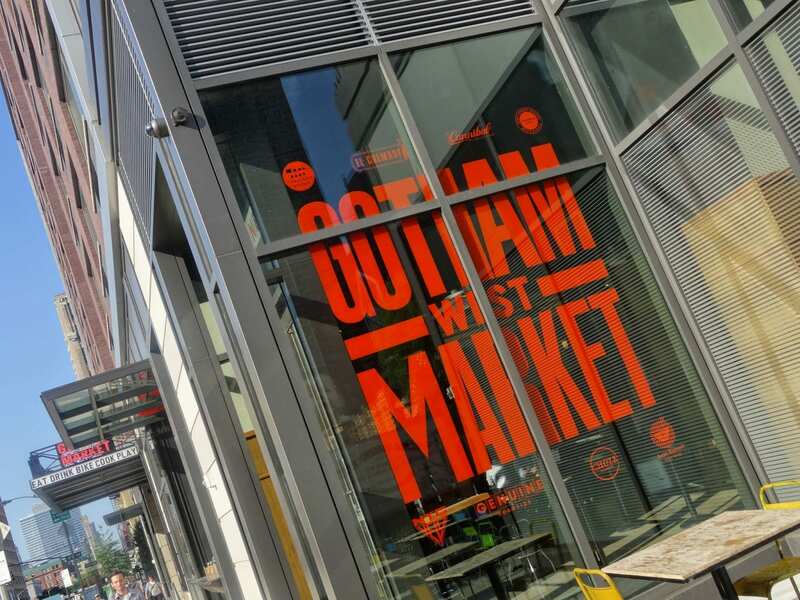 Thankfully, Gotham West Market was only 3 blocks away from the Theatre District. It’s on 11th Street. First impression…new, clean, trendy, lots of choices. What did we order? 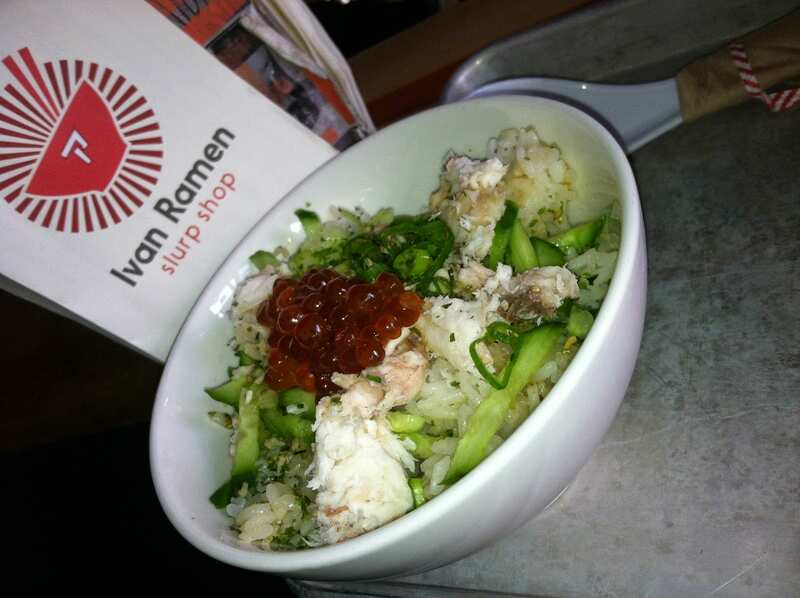 One of their combo specials….Smoked whitefish donburi with salmon roe, sweet soy dashi, cucumber and scallion. Plus free Yuzu Lemonade, and of course, RAMEN….Tokyo Shoyu Ramen!!! It was wonderful. This place has my vote, I’d go back here again!!! 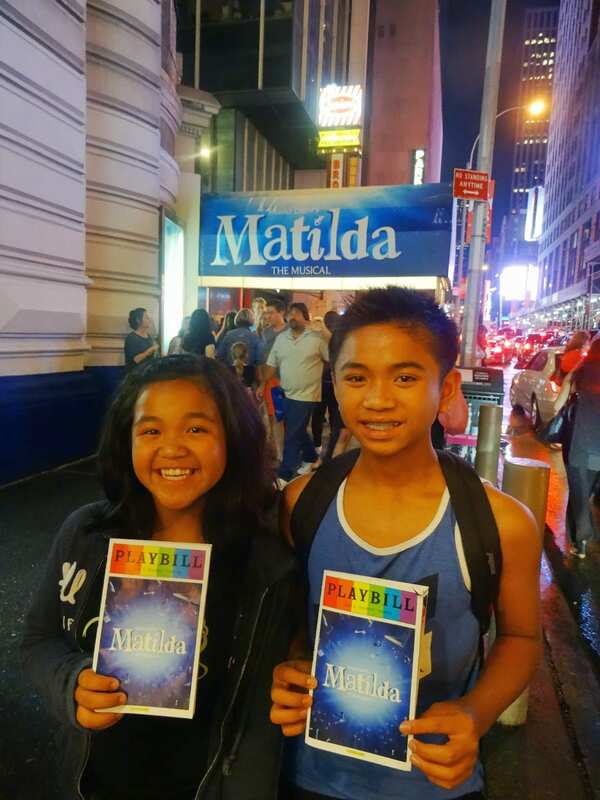 We stayed here for about an hour, and left just before 7:20 which gave us enough time to walk back to the Theatre District to watch Matilda, which by the way, an excellent, excellent show, especially for kids. Great singing and dancing, and message for the kids. Glad we were able to watch this show.